The space is actually fenced off with “DO NOT ENTER” signs and is under the ultimate control of the Nuclear Regulatory Commission. The only people accessing it are youth retrieving soccer balls kicked into it from the VA’s MacArthur Field adjacent the burial site. A brush fire recently burned part of the dump, which stretches up under land leased by Brentwood School, as reported in Brentwood nuke dump burns as VA finalizes draft master plan February 7. 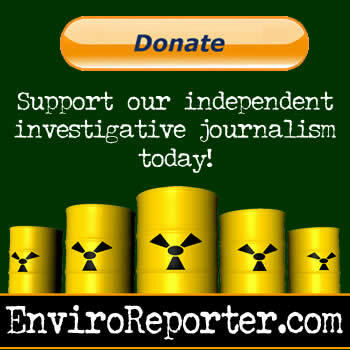 EnviroReporter.com first reported on the toxic waste landfill in 2006 and again exposed the site’s environmental dangers and VA’s refusal to face them with West LA VA ‘master plan’ covers up its chemical and nuclear dump last December 17. The Administration’s refusal to address these environmental challenges appears to have changed. Indeed, both Kane and the new director of the West LA VA, Ann R. Brown, a take-charge health administrator veteran who Kane introduced to the council, acknowledged that they were aware of the $2 million dump testing done from 2007 to 2010 instigated by EnviroReporter.com reporting. Those VA dump tests showed that radioactive tritium was being continually sucked out of the groundwater under the dump. Repeated exposure to this tritium comes from dust released from cutting back the area’s brush and grass and arson, as was proved January 26 next to the soon to be closed Barrington dog park. High radium, benzene and choloroform were also detected, the result of years of covert UCLA and VA biomedical dumping in an area that would be ideal for master plan rejuvenation if the contamination were dug out. Now there’s a chance that it will be. That in and of itself is reason for cautious optimism. The VA’s Brentwood nuclear and chemical dump’s continued danger may soon be dealt with, after all. Enviroreporter must be commended for exposing the highly toxic, pungent and foul smelling air that is released by the VA bureaucrats but actually created in the bowels of the ground that was donated specifically as a “HOME” for disabled Veterans. That is where you will find the special interest attorneys and manipulators that have orchestrated all of the “acid rain”, double talk, smoke and mirrors to lock-in long term Enhanced Use Leases and, since the last “invitation-only”, Community Veteran Engagement Board meeting, services for Veterans, classic “fox watching the chicken coop”, in this case, “evergreen data” for 75 years. The mold is getting real thick. The political power over an office boy turned Congressman and a Senator’s husband that has dictated policy on our gift-land for decades is, seemingly, impossible to breath. 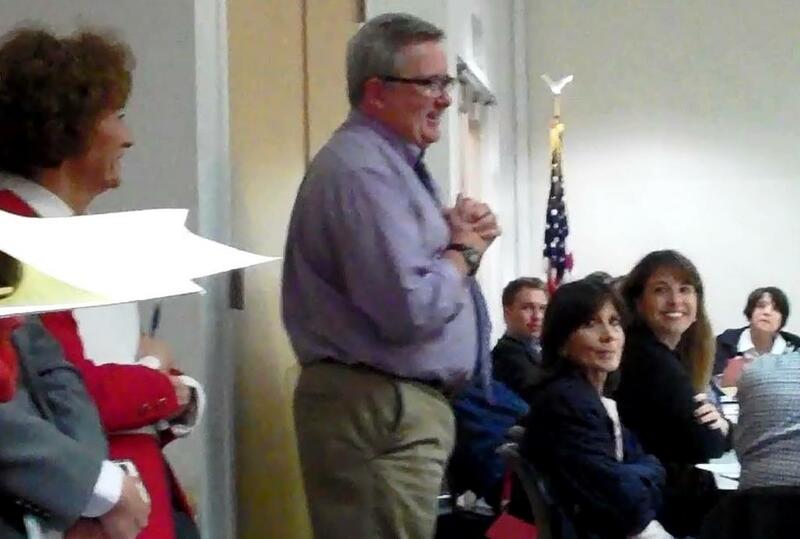 The special interests of Brentwood School, UCLA Baseball, Salvation Army (not military) housing project, oil drilling, Brentwood dog owners and the Veteran Park Conservancy are all frothing at their mutated bits because they think that the legislation, S2013 and HB3484, are slam dunks that will maintain their contamination. Don’t count your leases before they hatch. The forces of Veteran advocates from outside of California are coming into town with hazmat gear and a mission that will not “compromise” one inch of our land on a sham “first draft” plan. Brentwood School seems to be MIA in all this just like the Veterans. They don’t wnat their fancy track and fields dug up because it would hurt their image of a fine upstanding school that charges a fortune so their kids can wonder if their playing on toxic waste. Property owners along Barrington ave next to the dog park dump would certainly support a cleanup and taking care of this but will not sit by if VA tries to cover this up. Just dig it out. We were lucky we were upwind of that fire—Brentwood Glen not so lucky. Land planners, city planners, urban planners, site planners, landscape architects. People in the AICP. I don’t care what you call them. As a profession those of YOU who deal with radioactively contaminated sites and toxic contaminated sites TEND TO BE IDIOTS. I know this because I went to professional school with you. You planners love to make dreamy colored land use drawings, with swooping esplanades and lots of round dots for trees, all without a whit of thought about whether the crap in the real dirt constituting your “project”, or the dirt next door to your “project”, will stop your grandiose plans from ever being developed. The SECOND thing to competent, intelligent people do is wait until AFTER the scientifically smart people have figured out what toxics/radioactive substances will be left behind after clean-up, to THEN and only then, design a real estate development project based on what you’re allowed to do with the land, based on its remaining contamination. TO MAKE THOSE DECISIONS IN REVERSE, as the Veterans Administration is doing in this case, IS SIMPLY IDIOTIC. YOU’VE PUT THE CART BEFORE THE HORSE. Your client has 50 acres of dirt with shallow ground water under it. You know, that wet stuff down about 20′. Your client finds out that the ground water has volatile organic compounds (VOCs) in it. VOCs are carcinogenic solvents which volatilize, i.e. turn to gaseous substances. Gases like those which come out of your rears. Gases like those in a helium filled balloon. (Yes, I know you’re a planner because you don’t like science or math but think back to high school chemistry.) The government department which regulates toxic substances WILL NOT let your client build houses, apartments, day care centers, nursing homes or schools on the 50 acres BECAUSE the VOC gases will travel up into the walls of structures and give cancer to people living there or spending lots of time there. So if you sit down and design a land use plan for this hypothetical 50 acres of dirt, and if your plan has houses and apartments on it, you are an idiot because you are going to make the people who live there sick and you will ultimately kill some of them. Instead, your client is paying you to think about what you COULD build on top of the VOC contaminated soil. Like something the governmental environmental regulators will let you build. Like offices or laboratory buildings. Having exercised your pea-sized planner brains, now you’ve got to focus really carefully to understand how the project building process is legally required to work when that dirt you’re planning to build on has radioactive substances in the ground water under it, radioactive substances in the dirt under it, and radioactive substances in the dirt next door. Now understand “planners” that when there are radioactive substances in soil, or in debris buried in soil, or in ground water, they emit radiation which for you scientifically challenged planners can be imagine to be like an invisible gas. The radiation moves up through the soil and into buildings sitting on top of the radioactive debris or ground water. Now here’s the hard part “planners”. Listen closely. Think carefully. RADIATION DOESN’T RESPECT PROPERTY LINES. Radiation comes up and out of the ground at an angle, and goes into the next door properties. Radiation can even travel horizontally underground, travelling to property several hundred or a thousand feet away from the radioactive substances and only then the radiation heads for the surface. Planners like to draw. Planners, your assignment is to make a drawing of what I just wrote, so you’re sure you understand it. Draw 3 squares near each other and put an X on the one in the middle. Now draw arrows from the X to the 2 other squares. If the X is where the radioactive substance is, and each of the squares is a building, the two buildings which are hit by the arrows will be affected by the radiation coming from the X.
That’s what you’ve got at Brentwood. The box with the X is that big pile of radioactive debris. The other boxes with arrows pointing at them are the potential buildings which will be affected by the radiation at the X. You don’t need to build a building on top of the X to make the people living in the other boxes sick, giving them cancer and other radiation-related illnesses. And since there are radioactive substances in the ground water under all of those boxes, you need to put an X on every one of the buildings you’ve planned. Do you understand that if you build structures where people will live near a big pile of radioactive substances, that the radiation will travel sideways or at an angle, just like in your drawing? The radiation will go into the buildings in your plan designated for human beings to spend most of their days, sitting, learning, eating and sleeping. I really don’t mean to make you VA employees uncomfortable by sounding like a member of the House of Ways and Means Committee but how much, exactly, of the taxpayers’ money did you waste on this Master Plan WITHOUT HAVING A CLUE ABOUT WHAT YOU CAN BUILD, GIVEN THE RADIOACTIVE CONTAMINATION IN THAT BIG PILE OF DEBRIS AND THE RADIOACTIVE CONTAMINATION IN THE GROUND WATER UNDER THE WHOLE MASTER PLAN SITE? This is an election year. The Republican Party, and members of the House of Representatives, are looking for stupid, corrupt decisions by Obama political appointees and Federal civil servants with high-numbered GS ranks. You VA employees have handed the Republicans a beauty of an example of Democrat-administered-government-employee-stupidity. You should have listened to Michael Collins way back in 2006 and every year afterwards when he contacted you.